I spent hours – whole weekends – trying different decluttering approaches, including Marie Kondo, but they didn’t help. I still don’t have a squeaky clean home, all minimalist and pristine. Far from it. To be honest, I rather like life a little bit messy. I’ll briefly introduce each declutter tool below. For the quick index whiz down to section 8. 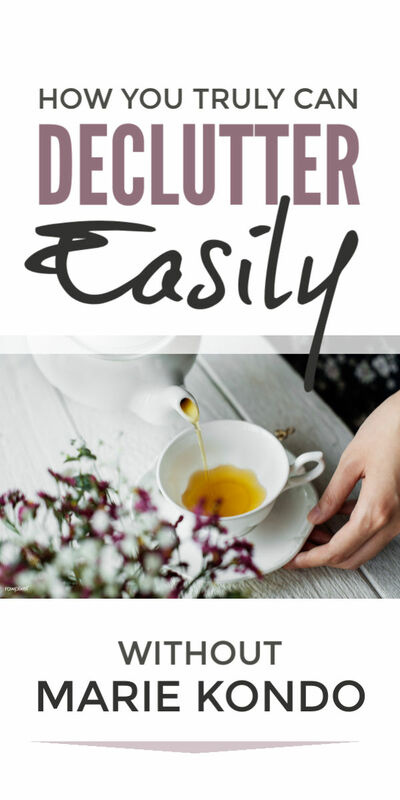 It’s amazingly powerful because it turns decluttering into a simple habit we can succeed at even when we’re exhausted. It channels all our angry energy BUT doesn’t create a big old mess on the floor. We all have our own variety of crazy clutter. You wouldn’t believe some of the stuff I hoarded. And you can get the whole family involved by turning them into bingo sheets – whoever says goodbye to the most, wins. Each day’s challenge focuses on just one area. This stops us from being overwhelmed by all the possible stuff we could let go. Clutter gets everywhere, doesn’t it? And that’s one of the horrible things about it. But we also have hotspots don’t we? Huge clutter monsters we are scared to take on. It won’t sell everything but it will help. 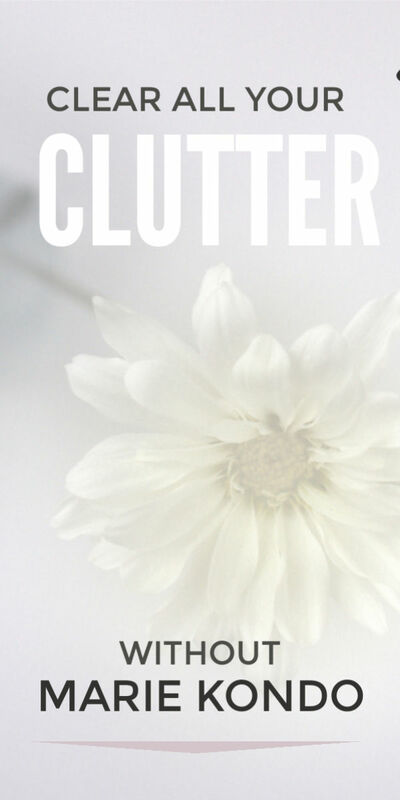 Clutter sneaks into our homes every day in so many different ways, doesn’t it? From the grocery store. In the mail box. In kids’ bags. And partner’s cases. Off Amazon. After shopping binges. And THEN there’s Christmas. And birthdays. And Easter. And Valentines. And Halloween. And Mothers’ Day. An endless trail of new stuff, we don’t have time to enjoy or space to look after in. 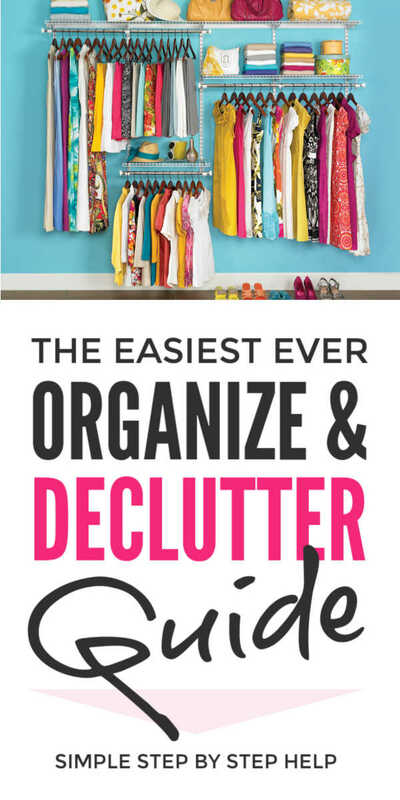 We all know we want to declutter, don’t we? And that’s why Marie Kondo is such a hit. She seems to offer us a clear path to letting stuff go. Because it needed hours of free time and created – initially – more chaos. Yanking everything out – or even the thought of it – made them crumple. It was too much for them. That’s why I am passionate about sharing a simple alternative for those of us for whom Marie Kondo just didn’t work. They were tucked away in boxes, so no they didn’t bring joy but recognising that didn’t make it any easier to let go. 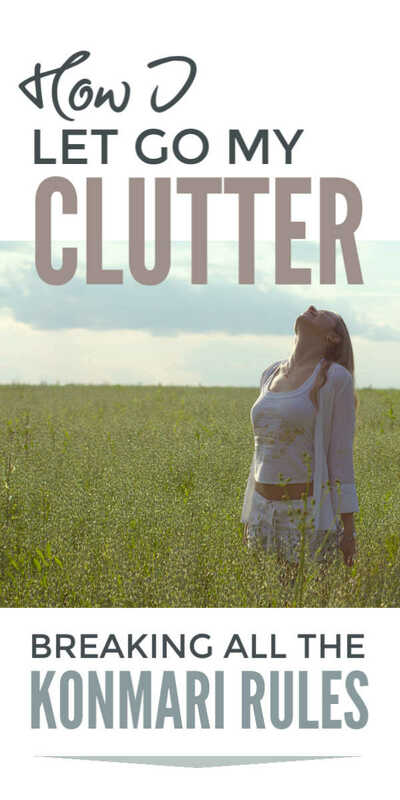 Knowing I wasn’t alone with my clutter truly helped. Friends inspired me to keep going even when life was hectic and to believe in my vision of a simpler more joyful life. And please share with friends. 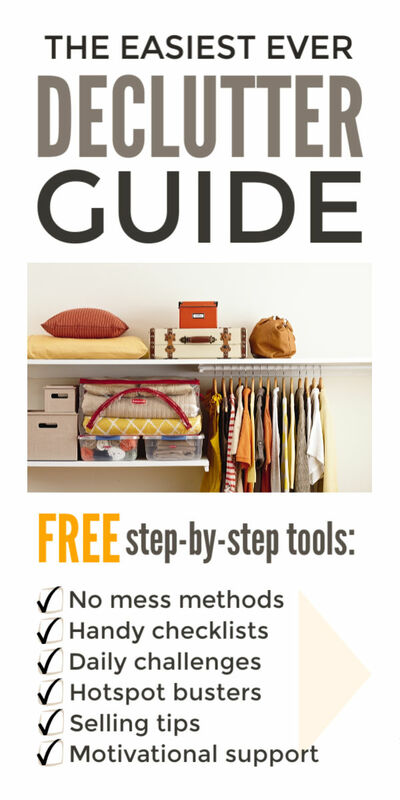 And spread the word that Marie Kondo may be wonderful for some, but there is another way. And it’s a whole lot simpler. Thanks for writing this! I agree with you about the KonMari thing. I started using it about a month ago in my master closet. 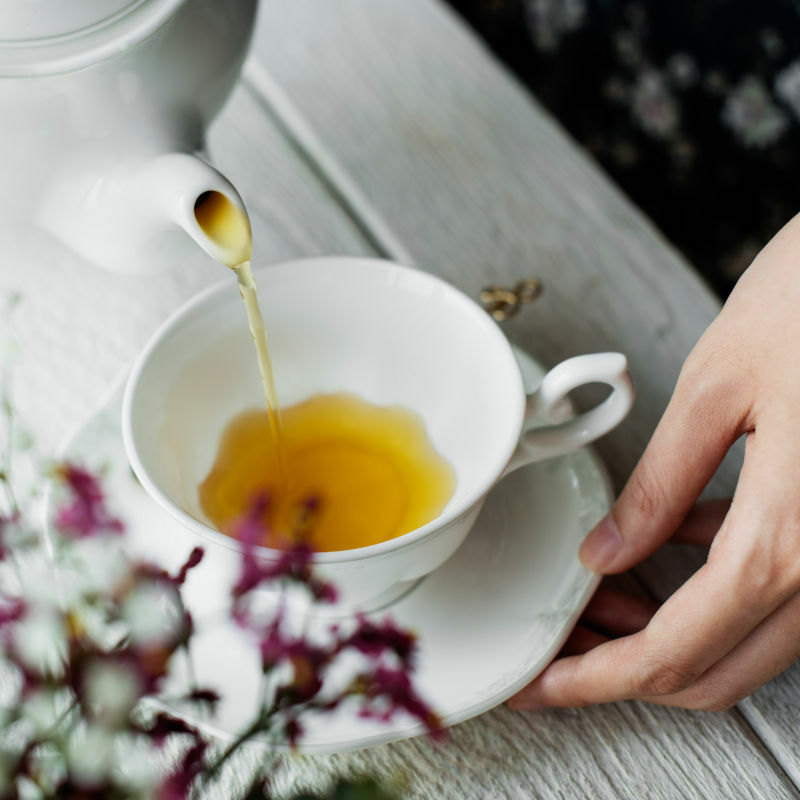 While it initially made things neat and organized, it’s not conducive to daily living. It’s hard to keep clothes that organized. For instance, I got a t-shirt out of my bin, but then realized I wanted another one. I had to drop to the floor and fold it up perfectly and put it back in its bin. What a hassle. I can envision a time where this will end up just being too much effort.